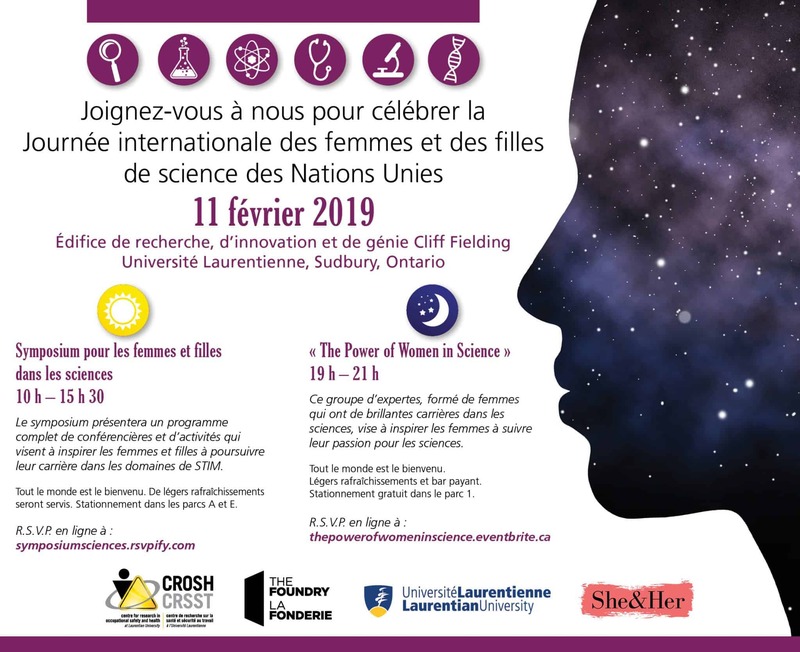 Join us February 11th to celebrate United Nations International Day of Women and Girls in Science in partnership with The Foundry, Laurentian University, and She&Her! Both events are free and well include light refreshments. All are welcome! 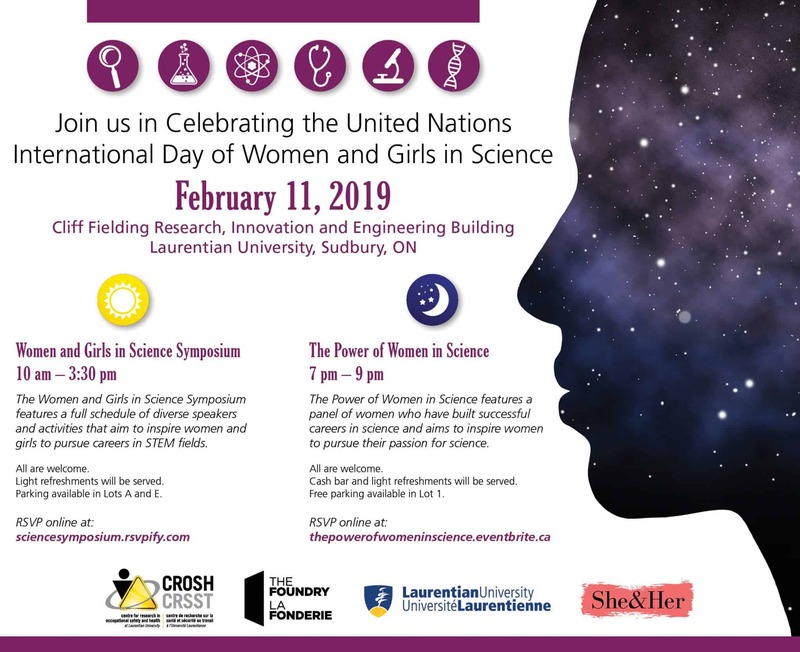 Join us during the day at Laurentian University to experience a diverse series of speakers, fun activities, and tours! 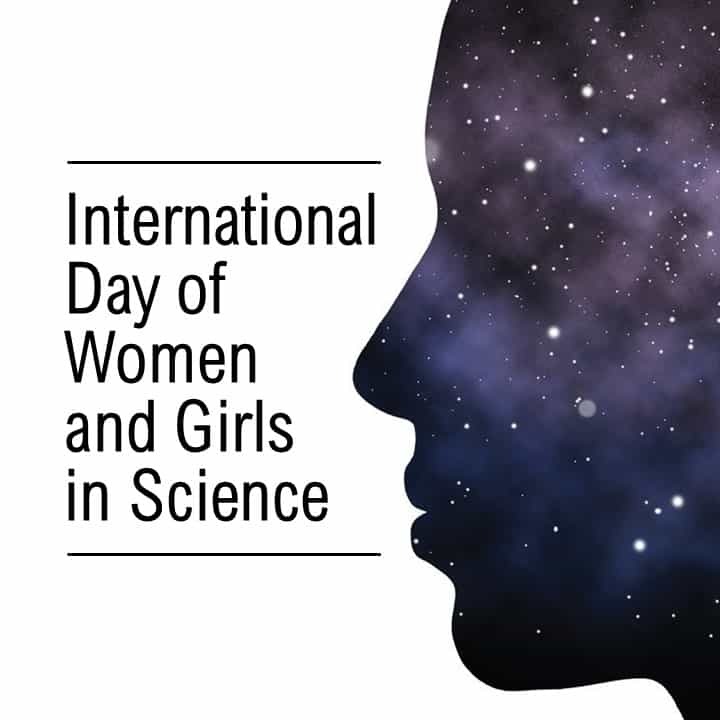 This group of experts, comprised of women who have successful careers in the sciences, aims to inspire women to follow their passion for science.